Last season, although often under the radar, Town were recognised for their free-flowing, attractive and attacking football. This season however, has been a much different story. After the fairytale promotion last term, it was always going to be tough to compete in the Premier League, and despite an encouraging start, that has proved to be the case. For Wagner and Town, this season has been a learning curve, and will continue to be so, but it seems that Town have lost part of their identity that got them to the position they are in. Wagner’s aggressive approach was there for all to see in the seasons early encounters, particularly in the victories against Palace and Newcastle. However, when we went toe to toe with one of the big-guns in Spurs, we were outclassed, Wagner has since seemed to alter his approach quite drastically. He has often set up more defensively, and played the midfield far deeper. Although this gives Lössl and co. more defensive cover, it means there is a lack of an attacking threat. Admittedly, the approach worked to a tee against both Manchester clubs, but it hasn’t been executed well on many other occasions. To play this style, you have to have pace and quality on the break, and even the most optimistic of Town fans would surely admit we don’t have that in abundance. There were high hopes for Tom Ince, however he has struggled to make a major impact. Rajiv Van La Parra continues to divide opinion, but his statistics simply aren’t good enough for his ability, now two seasons into his Town career. Furthermore, fans favourite Kachunga has struggled to replicate his form of last season and is currently out with an injury. Wagner has tried to add more quality in the attacking areas with the addition of Alex Pritchard from Norwich, but will he be the difference between relegation and survival? I’m sceptical. Back to the defensive system as a whole. It often leaves the frontman isolated, and although runners do make efforts to support, their defensive duties and keeping the shape seem to be far more important. Wagner invested heavily in the summer to finally get the type of striker he wanted, and although record buy Steve Mounié has struggled of late, Laurent Depoitre has proved to be a solid addition for a cheap fee. The two are target men, good in the air, however not blessed with pace. This means when we do get the ball in games where we have sat back, we desperately struggle to mount any kind of attacking threat. Understandably, we are up against far superior teams and individuals than last season, players are more scared of making a mistake, and you do get punished more. But, you need goals to stay in this division. Town have fallen into the trap that many promoted teams have in the past, that they simply don’t score enough goals. Middlesbrough are the prime example. They breezed to promotion in 2016 under Karanka, however they were reliant on a strong defence and lots of clean sheets. They didn’t alter their approach, and were relegated, much to the disappointment of their fans, particularly given that they have struggled in the Championship this term. Last season, they scored just 27 goals in their 38 games. This term, Town have managed to register just 19 goals, the third worst in the division. If you take out the three scored at Palace, and the four at Watford, it looks very bleak. 12 goals in the other 22 matches. That’s fine if you don’t concede, but we have really started to ship goals, and the most worrying thing is – we aren’t difficult to break down. We may only have one season in the Premier League, but we need to make sure we don’t have regrets. Town must treat the remaining 14 games as 14 cup finals. Upcoming games against Bournemouth and West Brom are going to be crucial in the battle to avoid the drop, but we must be at our aggressive, attacking best to pick up points. Town’s run-in makes it all the more important to pick up points as soon as possible, as a horrendous run of fixtures at the back end of the season may mean we have to have accumulated our points by April. 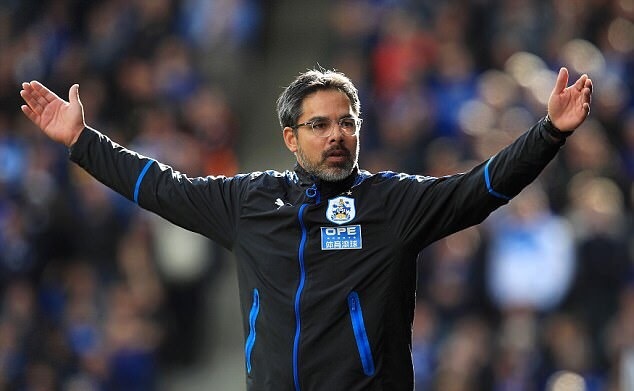 After the miracles he has worked in his two years at the club, I wouldn’t back against David Wagner performing yet another to keep Town in the big-time. Previous Town suffer sobering defeat at Olympic Stadium! Next Wagner and Town continue to defy with consecutive wins!